Q. Who is Xero targeted at? A. Xero is targeted at small and medium sized business who have relatively straight forward business processes and who may be simply “making-do” with any old piece of software. This includes businesses who run their operation using paper-based systems and spreadsheets. 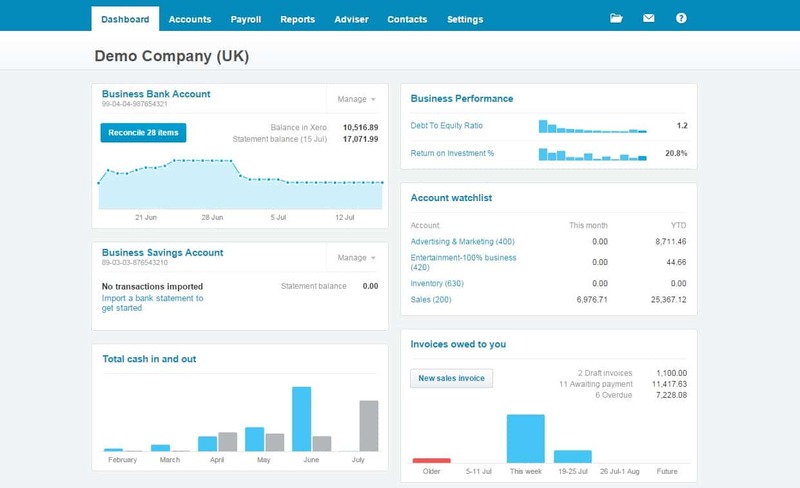 Xero is continually being improved with new features added to support its global growth. Xero have funding and a clear strategy to continue to develop the software into the future which can only benefit those businesses deciding to use this cloud based solution. A. Xero’s security policies are modelled on those used by the Banks. They use 128 bit SSL encryption, the same used for internet banking, and their servers are hosted on a tier-one hosting provider who monitors their servers and firewalls 24/7/365 at a guarded facility. They use an external organisation to continually audit their security by conducting penetrative testing, unannounced and deliberate attacks to measure their vulnerability to outside hackers. Data is stored on their secure servers and backed up regularly, so even if your computer is lost or stolen your data is safe. Q. Does that mean Xero is more secure than desktop software? A. Unlike desktop applications, your data isn’t stored on your computer, so if your laptop or desktop is lost or stolen, no one can access your data without a login. Online applications are much more secure than emailing your accounting data or giving out memory sticks with your data on it. A. Setting up and commissioning of Xero with an option to take Monthly or Quarterly business reviews. We will produce Year End accounts as standard if you choose our “Full” service level. Whatever your requirements, we are happy to be flexible to fit in with your business needs. Q. But I already have an accountant! A. Well, it’s decision time. Our objective is to help businesses put strong business and financial controls in place that are both easy and enjoyable to use. Our choice of service levels allows you to pick a service that provides the right level of support within your budget. In some cases this can lead to a better service at a lower cost than you may already being paying. You need to decide if this type of service suits you and your business operation and if so, ask for a meeting so we can give you a quote. Q. Should I use accware instead of my accountant? A. We are happy to provide a full range of accounting and taxation services if you choose to change accountants. Q. What do I need to provide to you to get started? A. Using Accountant’s language, a closing trial balance with a supporting breakdown of key balances such as debtors and creditors. This is the running total of your transactions per account since your last year end accounts. Don’t worry, if you make the decision to move, then we can help you get hold of this information. Q. What Bank feeds are currently available? A. There is an extensive list of banks now supported through the Yodlee Bank Feed. Q. How do I subscribe to a Bank feed? A. You do this within Xero and follow the instructions. Q. What are the benefits of the Xero Bank feeds? A. Your bank transactions appear in Xero on a daily basis, so you don’t need to enter or import them. Q. How many users can access the application at the same time? Q. What other web based applications do you recommend that link with Xero? A. WorkflowMax for Job Costing, Vend for Retail Point of Sale requirements and Shopify for eCommerce. Q. What if I have a specific requirement to import regular data from one of my suppliers? A. You will need to be able to communicate with the Xero API and this will require writing some code to communicate with the Xero database so data can be send securely through the web. Q. I generate Sales Invoices using another system, can I import these invoices into Xero? A. This can be done either manually or using the Xero API, but as previously mentioned, communicating through the API will require some development work.